Editor: Walter R. Houghton A.M., Late Professor Political Science, Indiana University, Fellow American Geographical Society, Author of Wall Chart of United States History, Literature and Geography, Conspectus of the History of Political Parties, Map of United States History, History of American Politics, Wheels of State and National Government, Political Parties and Their Issues, Biographies of Presidential Candidates, Etc., Etc., Etc. 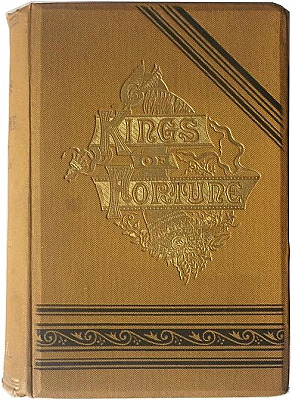 Publisher: Chicago: The Loomis National Library Association. 1888. 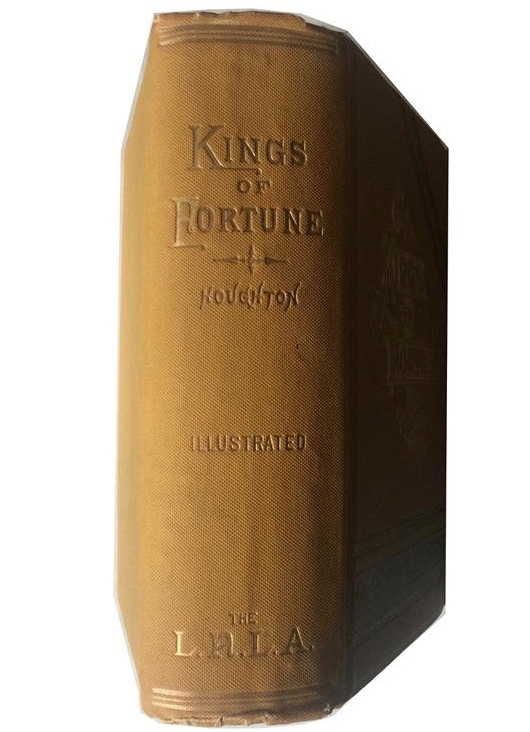 Hardcover: Thick octavo original light brown cloth covered boards with black and embossed gold lettering and marbled edges of pages, patterned end papers 621 pages, 26 wood engraved plates and numerous in-text vignettes. 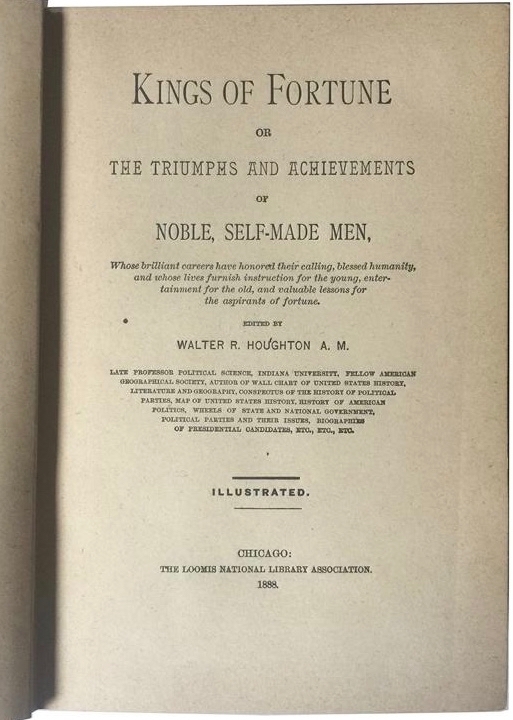 Description: This early edition is a compilation featuring biographies of famous self-made merchants, capitalists, inventors, editors, lawyers, artists, clergymen, authors and actors. Size: 9 in. x 6-1/2 in. x 2-1/2 in. Condition - Good, wear and signs of age alone the edges front end paper broken at the spine, browning of pages, otherwise fine. Bauman Rare Books, New York. Ex Libris Parker & Evelyn Sroufe, Seattle.